The 2 Sky Rocket Ball is located at the Bali Hai end of Walking Street in Pattaya, Thailand. It was constructed by one of the worlds leading Amusement Ride developers (Technical Park from Italy) and has on site supervision by a European technical engineer. It has been around for several years now and is one of the most popular attractions in the Walking Street Area. 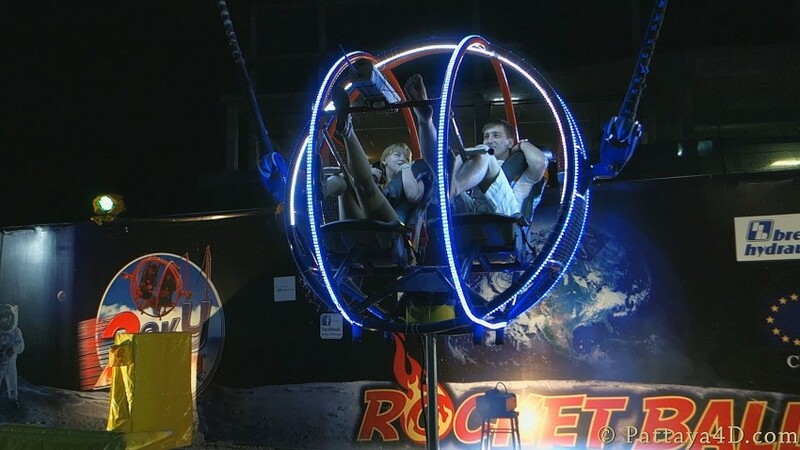 To call the Rocket Ball the most thrilling, exciting, amazing experience is no understatement. Two towers and one gondola allows to be catapulted into the air, going from 0 to 100 KPH in one second. No doubt about it, it’s the ultimate rush. There is also a bar, called 2 Sky, where you enjoy a beer and pick up a bit of Dutch courage to take the ride.